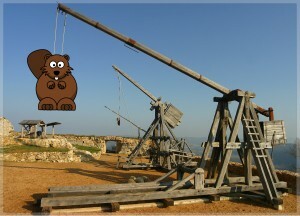 Answer To Fargo’s Beaver Problem: Catapult Them Into Minnesota! Tree-killing beavers being catapulted back and forth between Fargo and Moorhead. 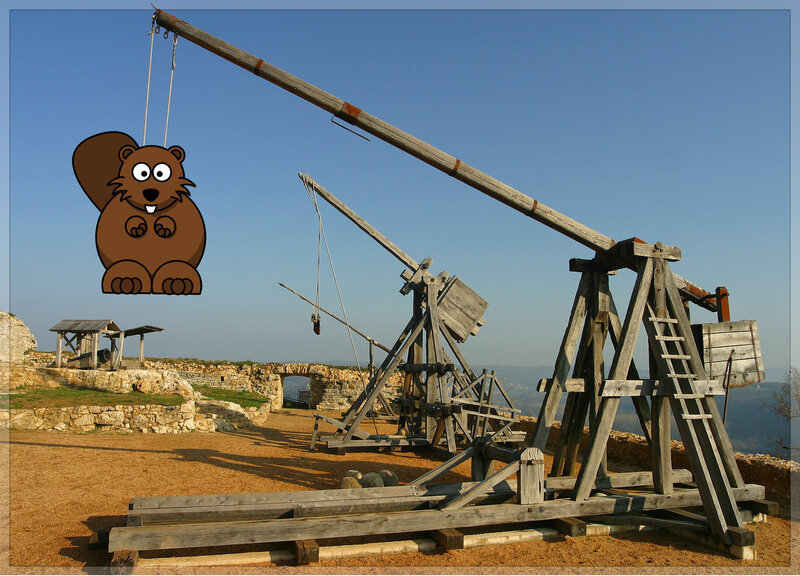 Fargo, ND – After many possible solutions to Fargo’s beaver problem were reviewed, city authorities decided to relocate the tree-eating rodents by sending them flying into Minnesota via giant catapults. Unfortunately, shortly after Project Catapult began, a Moorhead man suffered a concussion after being struck in the head by one of these flying beavers. Some angry Moorheaders are now beginning to catapult these same beavers back into Fargo. This feudal vendetta is beginning to even spill over into on-line social media after it was reported that return fire from one Moorhead man struck a Fargo resident directly in his facebook, causing temporary insanity. The worst of the outdoor fighting now seems to be concentrated in the area between Fargo’s Lindenwood Park and Moorhead’s Gooseberry Park, where people are being warned to wear hockey helmets at all times.